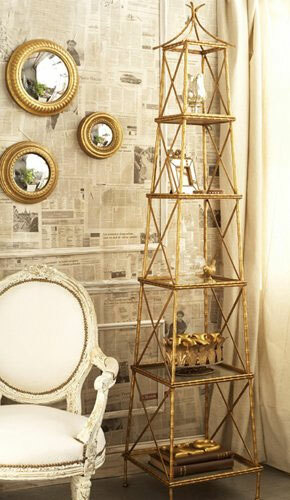 When we decorate our home it’s a bit tricky to stick with the original design theme we want to create. Most of the time we compromise because we know that we can’t find a complete set or matching furniture that will fit together perfectly. 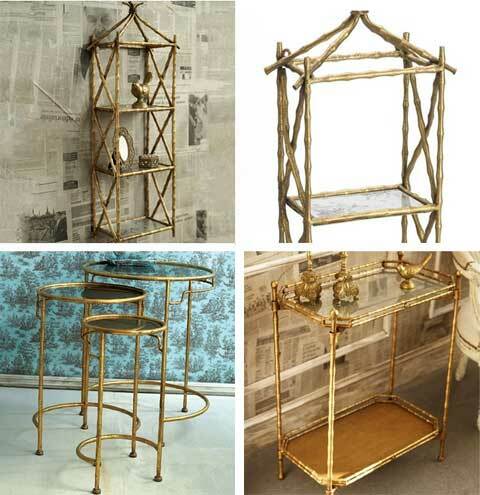 This is where the Golden Bamboo Collection comes to the rescue – This beautiful set is perfect for those who adore antique furniture with a sophisticated design that will make your guests go “wow!”. The special thing about this collection is when you first see it, it seems as if it was made from a 100% natural bamboo wood, but when you look closer you can actually see that it’s made from golden painted metal. 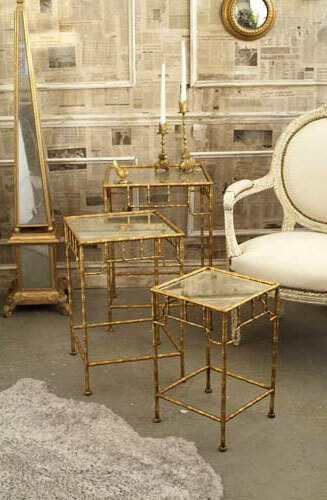 Made from high durability metal and glass, the Golden Bamboo collection is perfect for all rooms, offering various items for your choice: 3 Antique Mirror Tables are available in three different sizes, Round Side Table Set that also comes in three different sizes, a 2-Tier Foldable Side Table with a removable top tray, a Triple Shelf that you can hang on the wall and a 5-Shelf Stackable Tower to store and display your favorite items like small decorative boxes, picture frames, delicate perfume bottles, and more. So if you’re looking for an exquisite furniture set – this is your golden chance to get one!